With so many new amazing collections launching these days, it's hard to pick a favorite. From the beginning of our blogging days, Tiny Whales has held a special place in our hearts. Tiny Whales merges the gap between infant and children's clothing by creating fun, imaginative and modern designs that are appealing to all ages. This Fall season, Tiny Whales is bringing fun graphics like apples and boom boxes and adding unique patches for a back to school vibe. 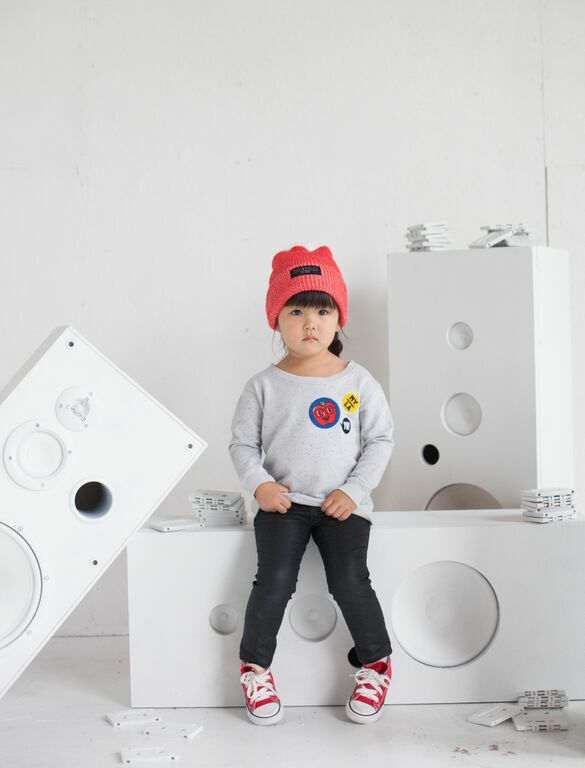 We are pretty obsessed with the city beat sweatshirt and can't wait to dress our littles in these joyful pieces this season! Tiny Whales collection launches August 5th and will be available on their site.